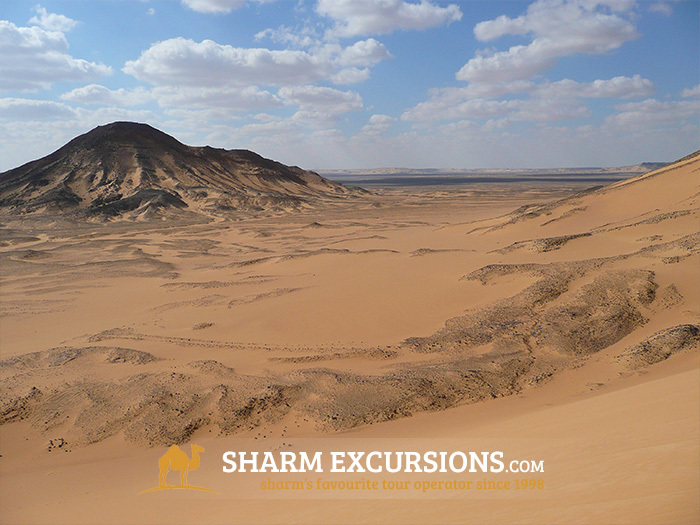 This trip includes 5 of our fantastic desert-based trips in one half day tour, giving you chance to enjoy more! 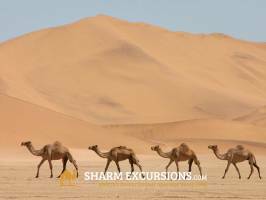 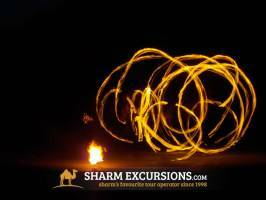 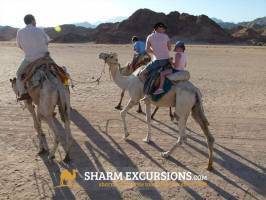 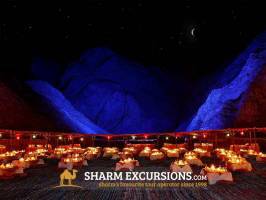 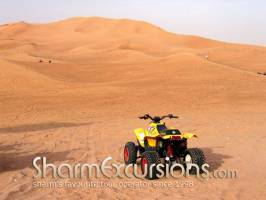 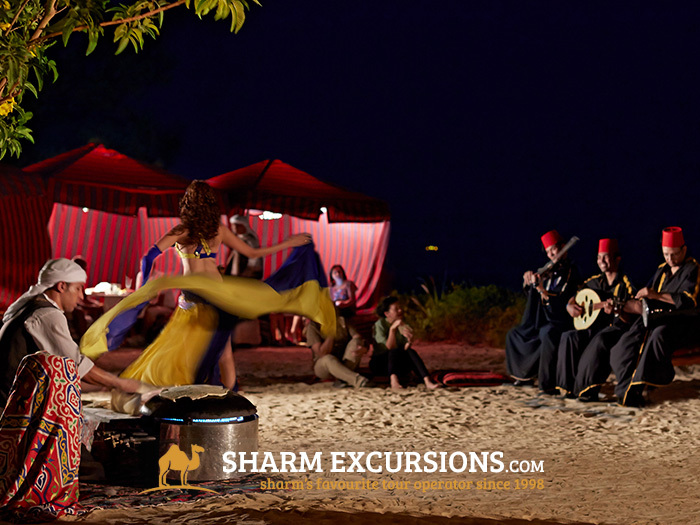 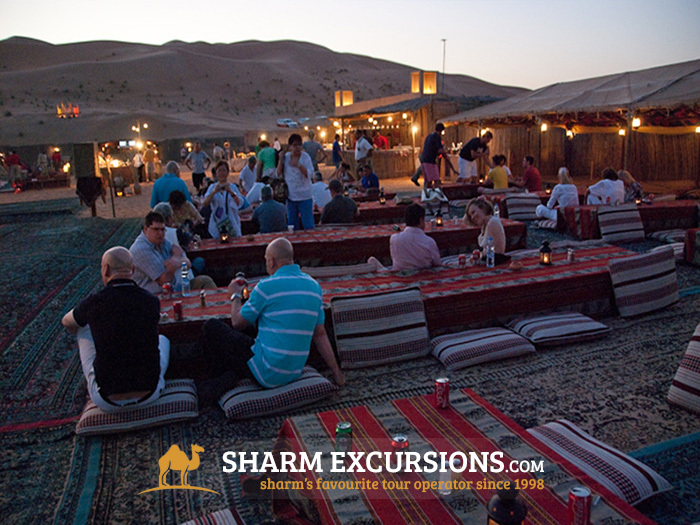 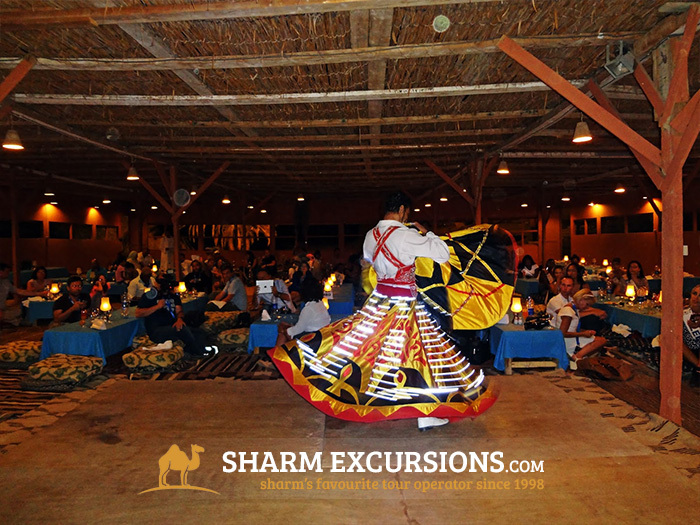 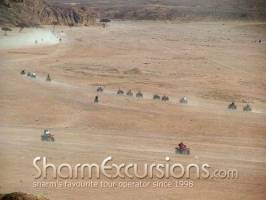 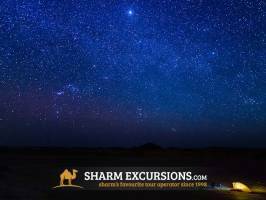 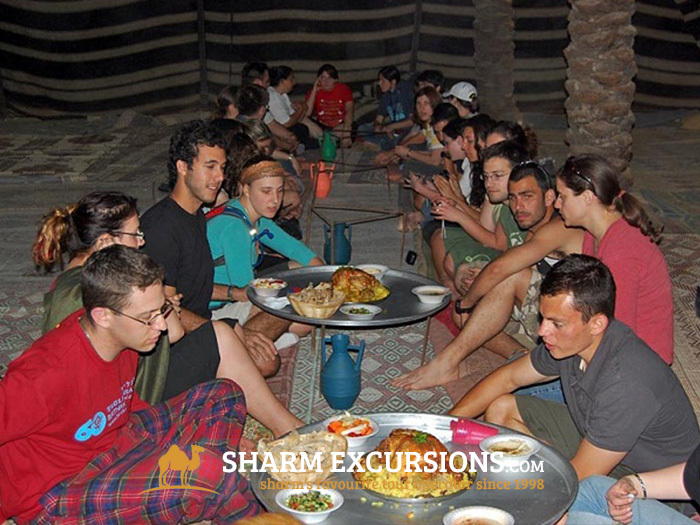 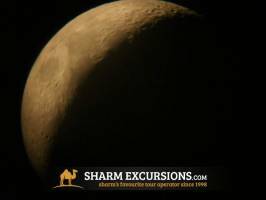 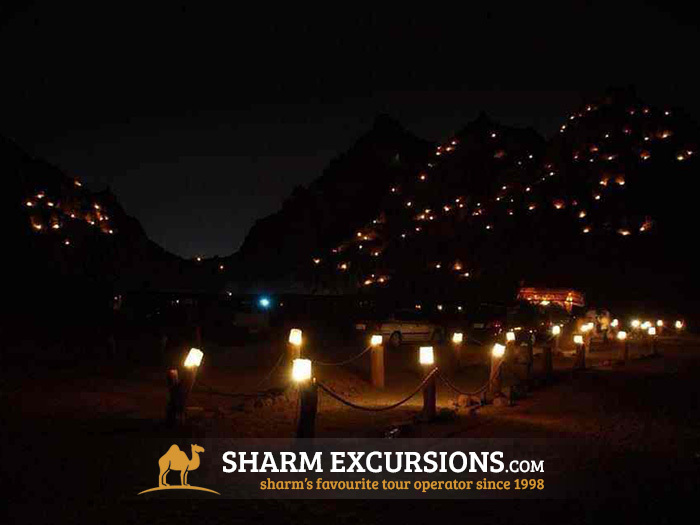 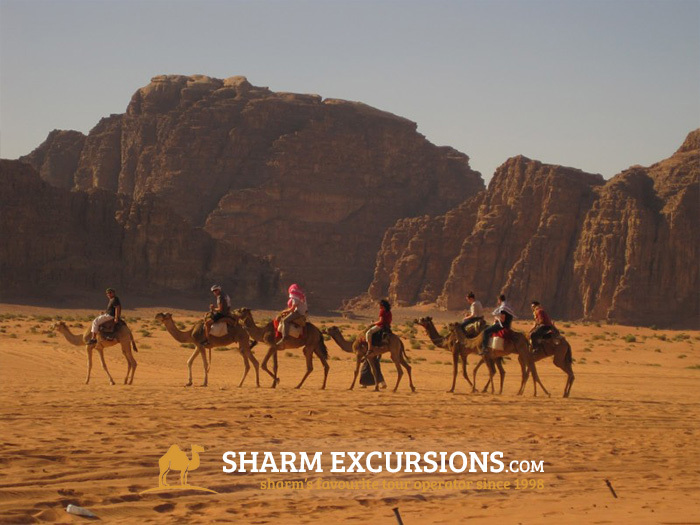 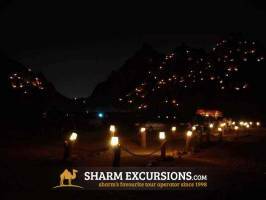 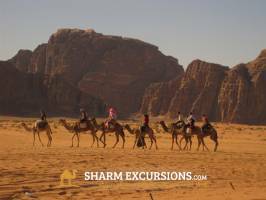 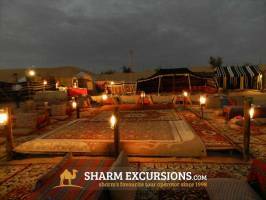 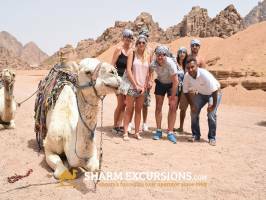 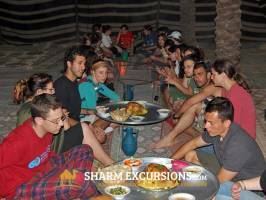 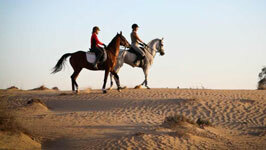 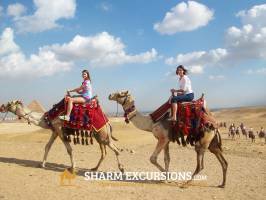 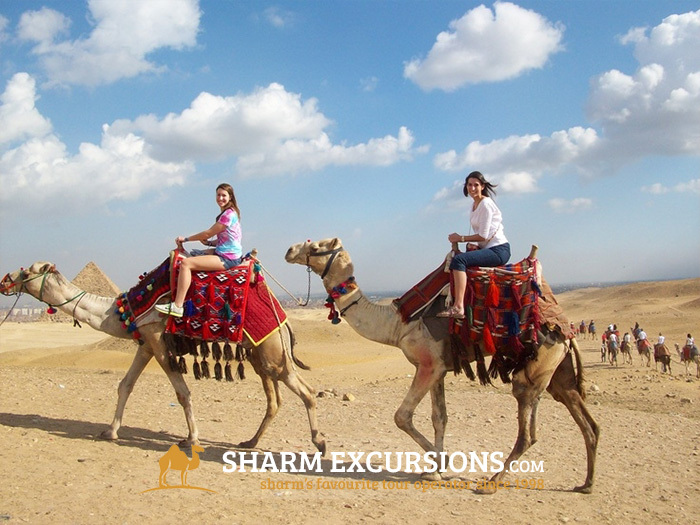 Includes Sharm Desert Adventure Quad Runner, Camel Ride, Bedouin Dinner, Oriental Show and Star Gazing Trip. 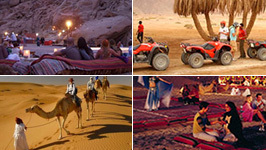 This trip includes 5 of our fantastic desert-based trips in one, giving you the chance to enjoy more! You'll be picked up from your hotel in Sharm at around 3:30pm and taken to the Quad Center to start your desert adventure. 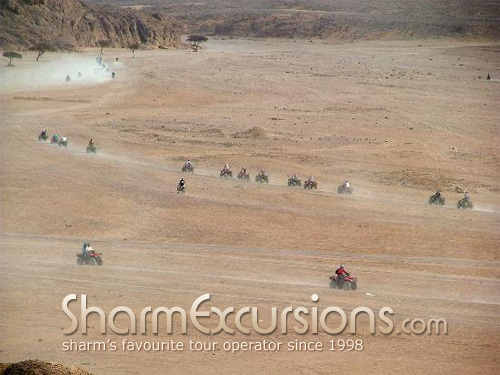 Located right on the outskirts of Sharm El Sheikh, where the modern city meets the ancient deserts of Egypt, lays our quad biking center. 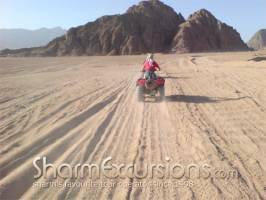 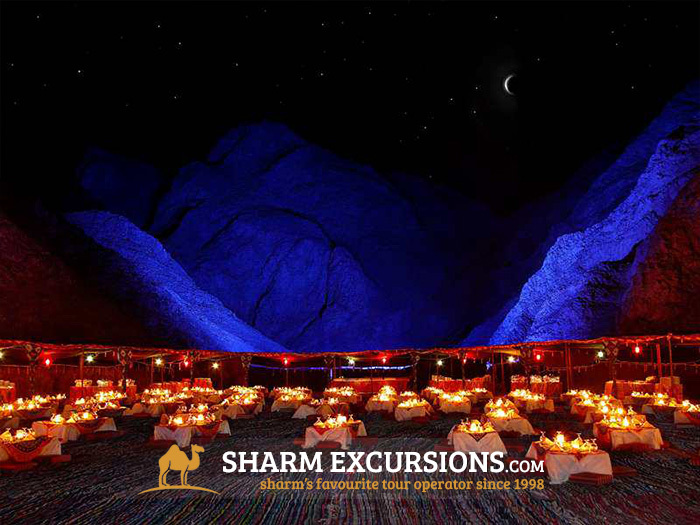 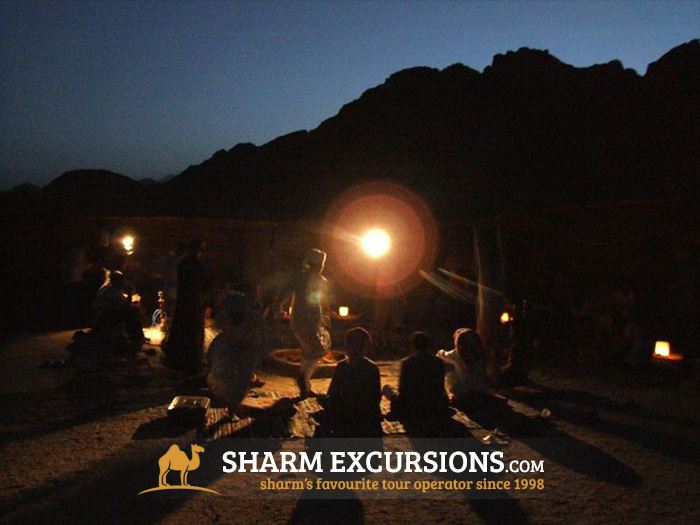 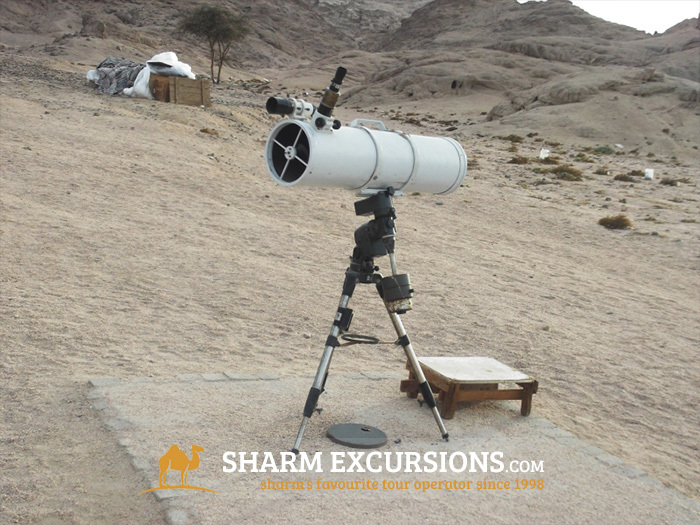 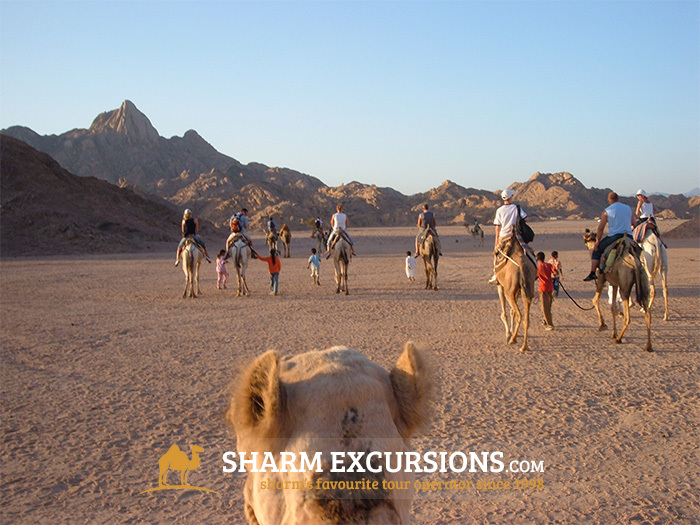 After a brief introduction to the quad bikes, you'll zoom off across the Sinai mountains and open plains of the desert for approximately one hour until you arrive at an authentic Bedouin tent. A great way to start the tour! 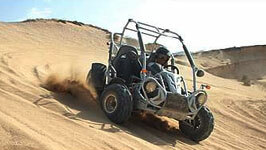 Park-up your quad bike on arrival at the authentic Bedouin tents in the desert and get ready for a ride on something not quite as fast, but just as hardy and with far more attitude! 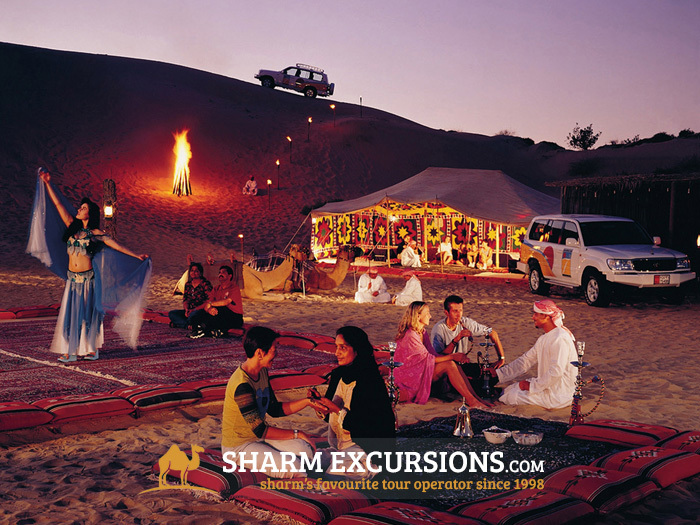 Ride your well-trained, friendly camel over the dunes and flats of the desert with a Bedouin guide by your side. 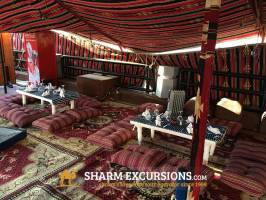 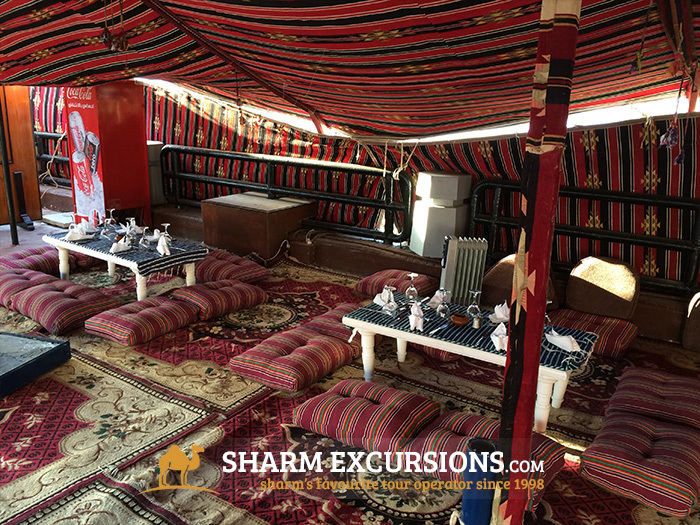 After quad biking through the desert and riding a camel you'll deserve a refreshing cold drink and the option of some delicious authentic Bedouin tea with Habaq (traditional herbs) served in an authentic Bedouin tent. 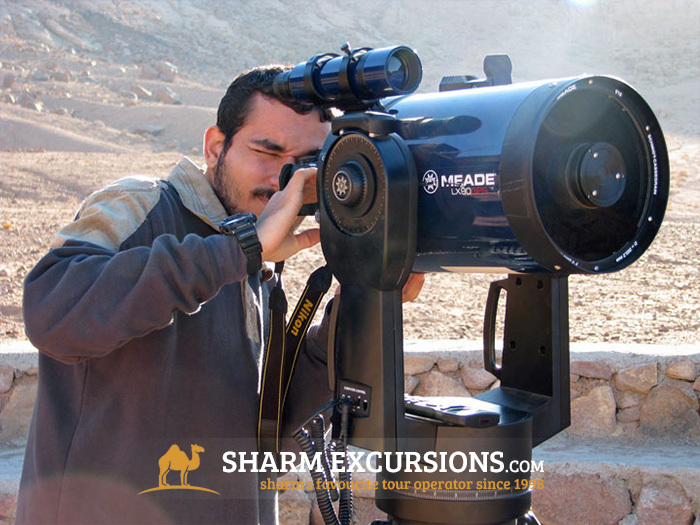 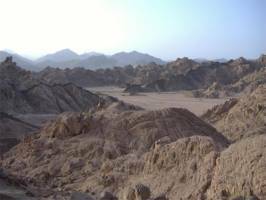 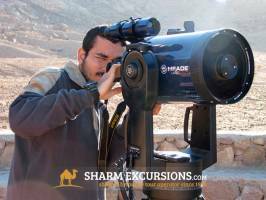 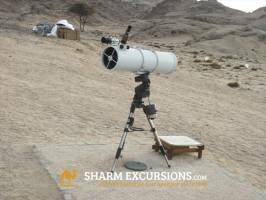 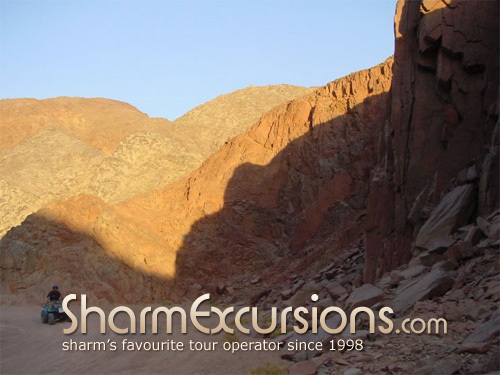 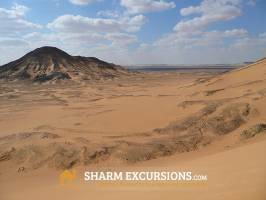 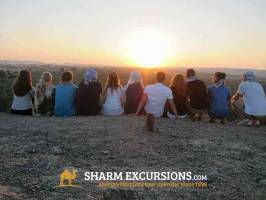 We'll then climb to the summit of a small mountain to relax and admire the fantastic view of Sharm's sun setting over the beautiful desert and mountain ranges. 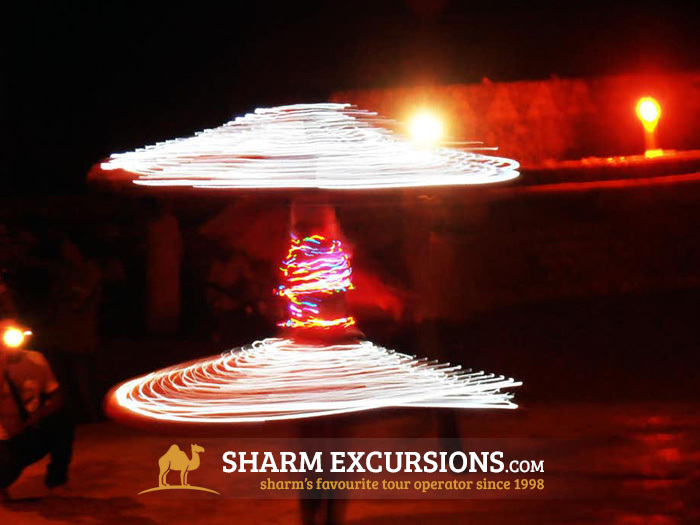 This absolutely makes the tour for most of our guests and this it's this magical moment that you'll always remember. 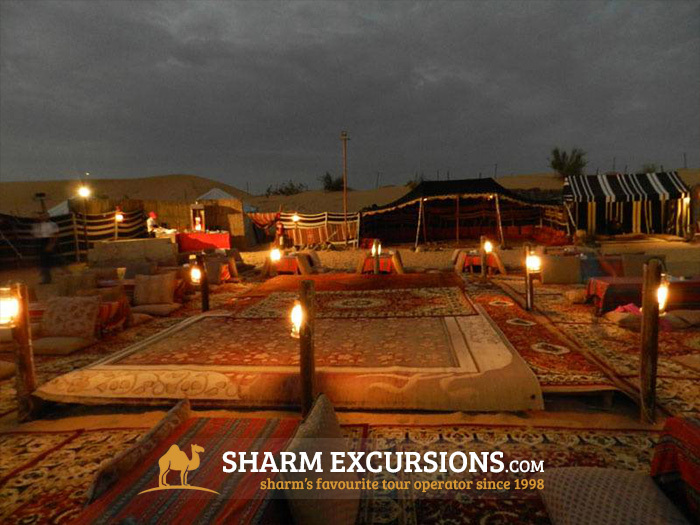 As it gets dark we'll serve a wonderful freshly-made Bedouin dinner to enjoy under the stars of one of the best night sky's you'll ever sit under! 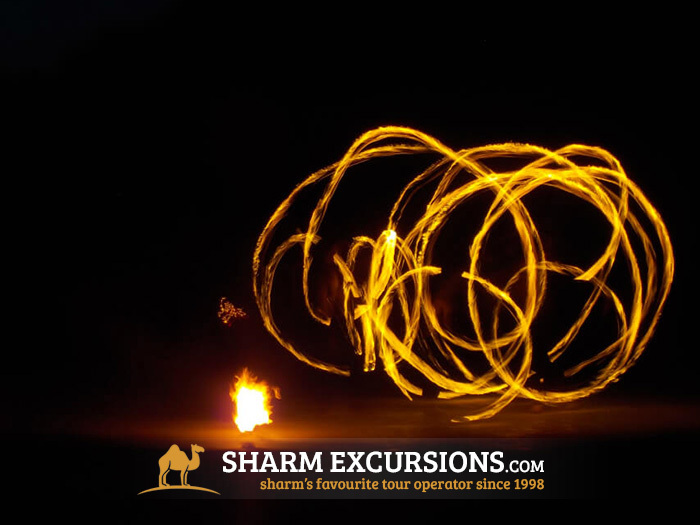 You will then be entertained by a wonderful show that includes Belly Dancing, Fire Show and some Acrobatic shows, Arabic music and Tannura Show. If you wish, you have the chance to try smoking a Shisha (Water Pipe) during the show - a great experience. 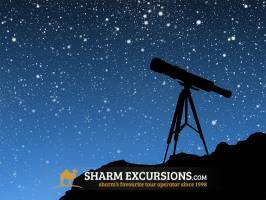 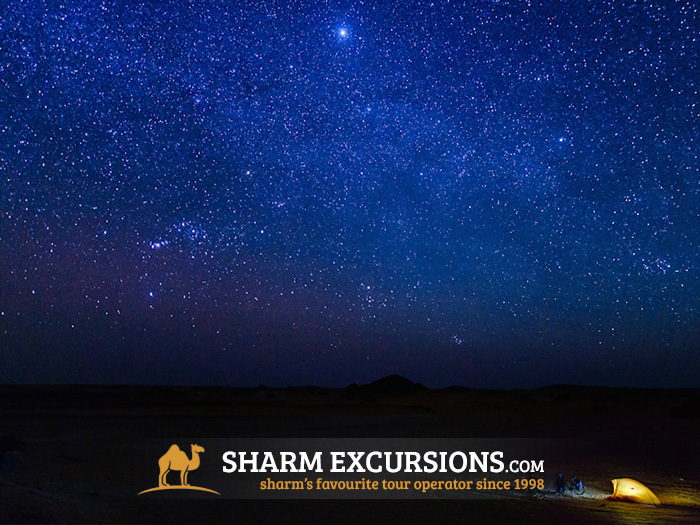 After the show we'll relax and enjoy the absolute dark sky of the desert, where your guide will show you the constellation of Orion's Belt, Polar Star, Ursa Minor and Ursa Major, and tell you all about the moon and the different stars and the shapes made by them. 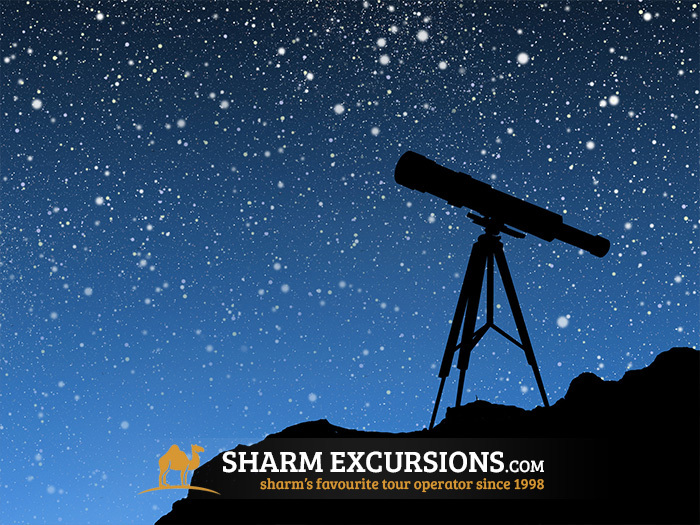 Then you take it in turns to look through a telescope to see the different planets and skies. 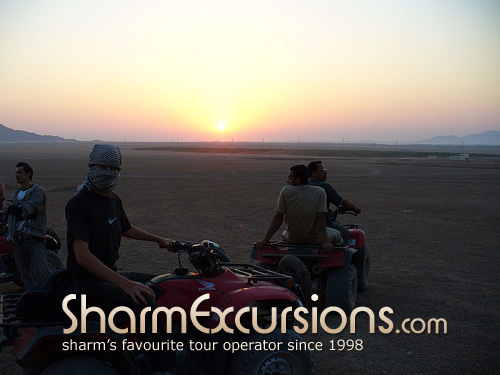 After your evening with the Bedouin you'll drive about 30 minutes back on your quad bike where we'll be waiting in an air conditioned van to whisk you back to your hotel. 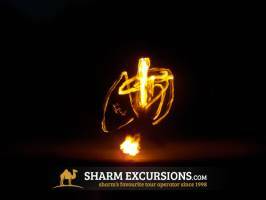 Exceptional... 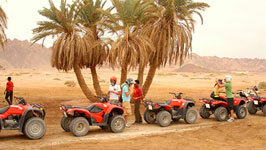 epic!!! 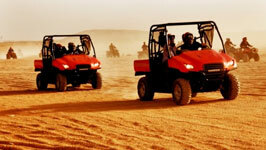 So, so, so much fun. An experience unlike any other, especially if you have Hakeem as your lead guide. The quad bikes, the picturesque landscape, the camel rides, the small hikes, the entertainment, just wow. 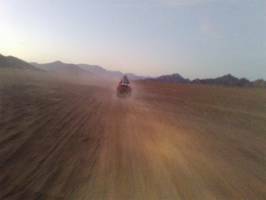 Someone needs to go scouting for talent in the desert. 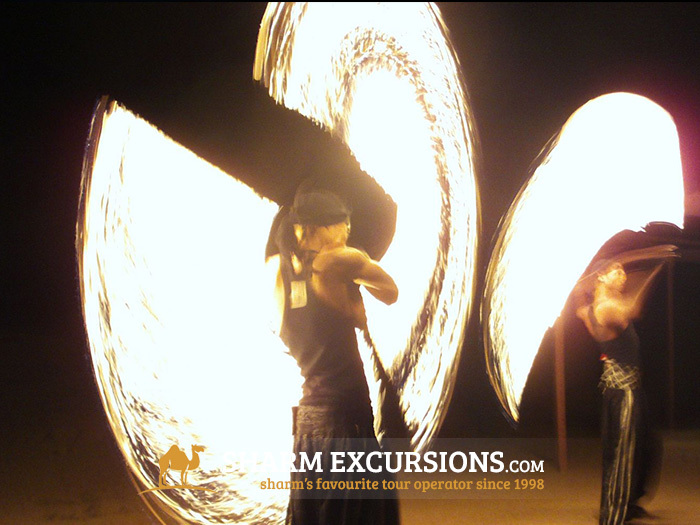 Those guys are something else. 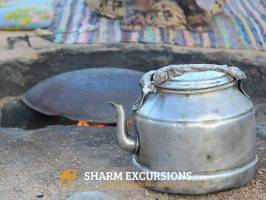 I'm not a tea drinker, but that tea was just superb. 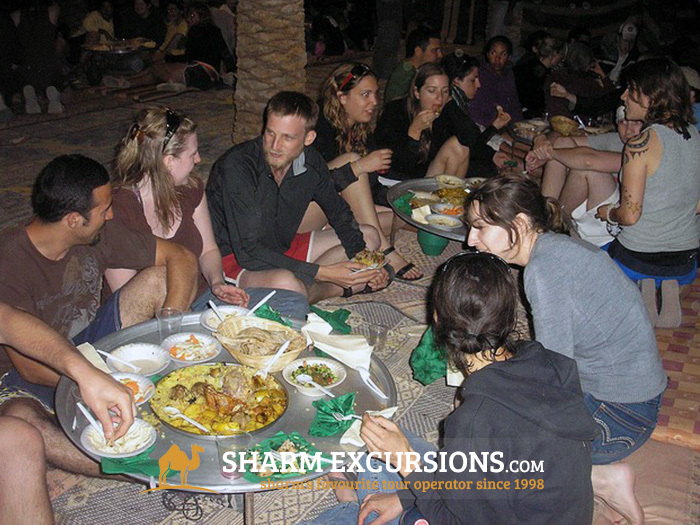 Can't even count how many helpings I had. 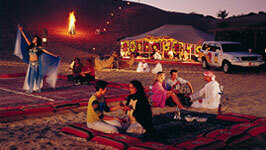 I could have camped in the desert all night gazing at stars. Thank you!!!! 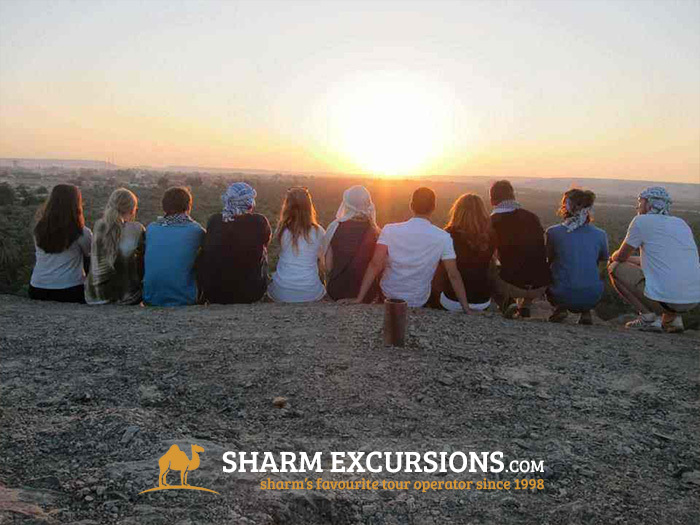 Excellent company to deal with. 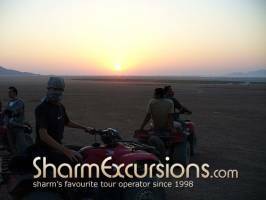 Great customer service and quality. Would highly recommend them. 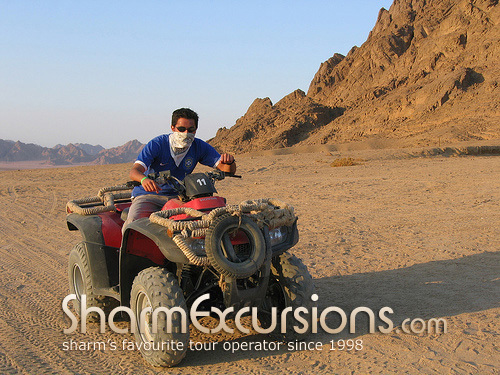 This tour was 1 of the best I have ever been on. 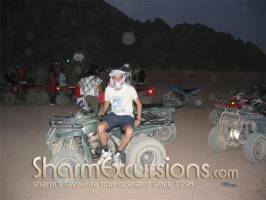 I thought we would get 15 minutes on the quad bikes. 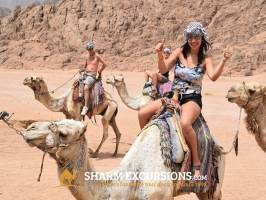 How wrong was I. 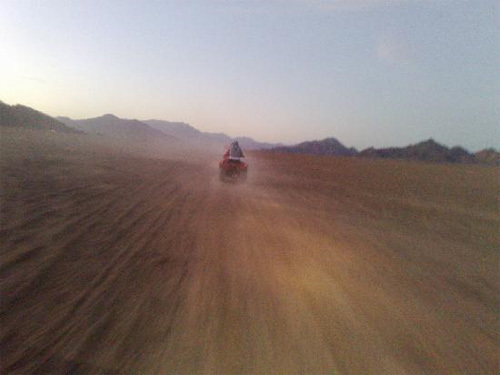 We were driving through the desert for at least a hour and half. 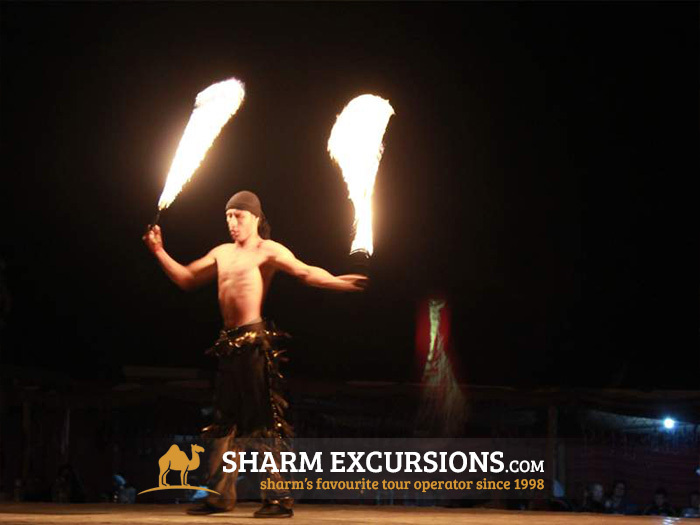 the other parts of the tour was very good especially the snake charmer part of the show. 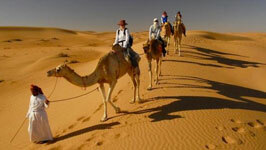 Then a half an hour drive back to the coach. 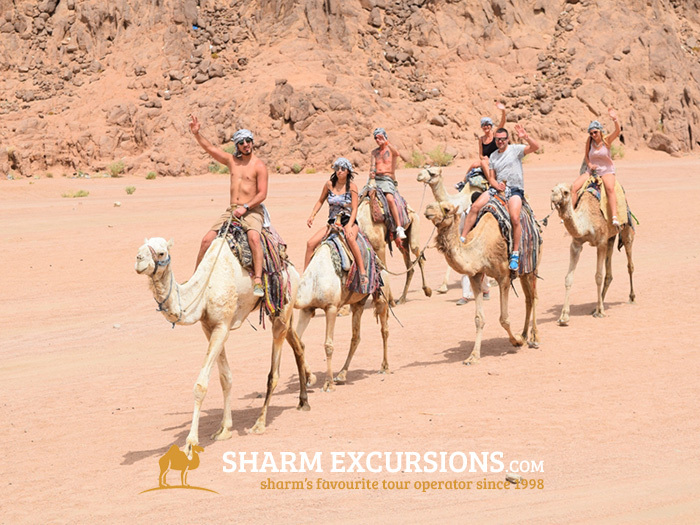 A* for this tour. 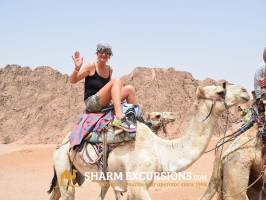 If I had another day I would have done it again!